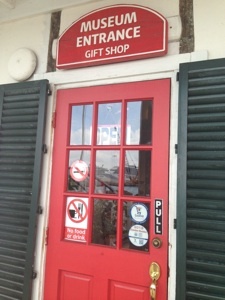 Find a selection of our premium loose leaf tea, teaware and gift baskets at the Cayman Islands Museum. 25g bags of : Go Green, Nap Time, Guilty Pleasure - Chocolate Mint, Cayman Sunrise, A Royal Affair, Workin’ 9-5, Chinese Tea - Cayman Romance, Skinny Lemongrass, Pom-azing, Got the Blues?, Mother of Jasmine Pearl, Beloved Isles Cayman, Just Breathe, Spice it Up Cayman!, Hibiscus Vanilla Delight, Cayman Wedding, Nettle with a Twist, Silhouette and Oh Natural- Peppermint. 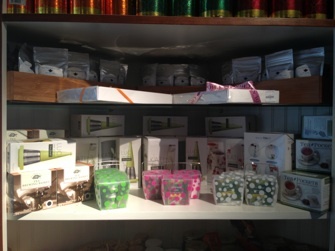 Tree Top, Spring Grass, Cherry Blossom and Birdsong Kati Cups, Pugg Teapot, Luci Infuser, Teaze Gravity Infuser, Brewing Baskets and Tea Pockets. 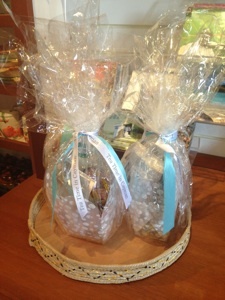 Bubbly Gift Basket and Mini Me baskets in pink, white & green.